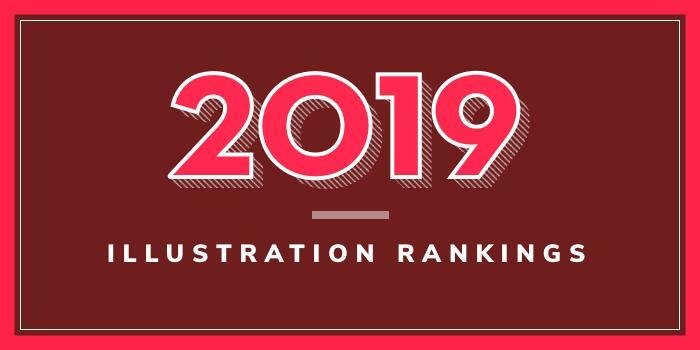 The 2019 top 25 schools and colleges offering Illustration Bachelor of Fine Arts (BFA) degree programs. For an explanation of the ranking criteria, click here. Founded in 1947 as Cartoonists and Illustrators School, the School of Visual Arts (SVA) serves more than 6,000 students enrolled in over 30 programs. SVA has the largest illustration faculty of any school in America. In addition to employing 69 faculty members, the SVA Illustration Department serves 473 students enrolled in more than 75 courses. The department offers a BFA in Illustration. A BFA in Cartooning is also available. Ringling College of Art and Design (RCAD) was established in 1931 and serves 1,400 students enrolled in BFA degrees in eleven disciplines and BA degrees in two. Just a few majors include Computer Animation, Film, Game Art, Motion Design, Visual Studies, and Illustration. Founded in 1877, Rhode Island School of Design (RISD) is home to 2,480 students from across the U.S. and 57 other countries. This private school of art offers 16 undergraduate and 16 graduate (MA, MFA, MAT) art and design programs. The school’s most popular programs include Film/Animation/Video, Graphic Design, Industrial Design, Painting, and Illustration. Offered through the Illustration Department, the BFA in Illustration is Rhode Island School of Design’s largest major. The program has approximately 300 undergraduate students “with a diverse range of skills and interests,” says the school. Program highlights include a full roster of visiting artists and art directors, professionals from across the country who offer feedback through annual portfolio reviews, and access to computer resources, printmaking studios, software such as AfterEffects, InDesign and Maya, and the ISB Gallery, which hosts a mix of student or curriculum related exhibitions throughout the academic year. Founded in 1930, ArtCenter College of Design is home to approximately 2,100 students enrolled in 11 undergraduate and seven graduate degree programs in Industrial Design, Visual, and Applied Arts Disciplines. Programs for aspiring illustrators include a BFA in Illustration. Founded in 1887, Pratt institute is home to 4,600 students enrolled in 22 undergraduate degree programs, 26 graduate degree programs, and a variety of Certificate and Minor programs across five schools and The Center for Continuing and Professional Studies. Programs for aspiring illustrators are offered through the School of Art and the School of Design. BFA options include a BFA in Communications Design. A variety of unique electives “provide opportunities to explore a wide spectrum of contemporary illustration practice including graphic novels, animation and 3D modeling, independent publishing, editorial illustration, children’s books, concept art and illustrated typography.” Upon completion of the program, BFA graduates are prepared to seek positions in a variety of industries or they may enroll in Pratt Institute’s Graduate School of Arts, which offers an MFA. Offered through the School of Communication Arts, the BFA in Illustration is offered at the Atlanta, Hong Kong, and Savannah) campuses. Related degrees include a BFA in Sequential Art (Atlanta, Hong Kong, Savannah). The BFA in Illustration has four concentrations including Animated Illustration and Publication Design, Concept Design for Animation and Games, Illustration for Entertainment, and Illustration for Surface Design. Each concentration requires four courses, and students have the opportunity to choose from 10 elective hours to further refine their focus. Students in all BFA programs may participate in CCAD’s International Exchange Program, which highlights study at China Academy of Art, Hangzhou, China; Universidad Mayor, Santiago, Chile; Xi’an Fine Arts Academy, Xi’an, China, and Northumbria, Newcastle, England. Students may also study at CCAD-approved programs at Studio Art Centers, Florence, Italy, and University of Arts London, London. Otis College of Art and Design (OTIS) was established in 1918 by founder and publisher of the Los Angeles Times, General Harrison Gray Otis. Home to approximately 1,100 full-time students, OTIS offers 11 BFA degree programs ranging from Digital Media (Animation, Game and Entertainment Design, and Motion Design) to Toy Design. Among these programs is a BFA in Illustration. Program highlights include visiting artists, conventions, field trips, and student exhibitions. Students can expect to take foundation courses such as Connections Through Color and Design, Drawing and Building Form, Introduction to Visual Culture, and Ways of Knowing. Sample Illustration courses include Alternative Materials and Procedures for Illustrators, Entrepreneur 101, Illustration Communication Studio, Printmaking, and Typography for Illustrators. Founded in 1944, Fashion Institute of Technology (FIT) is a member of the State University of New York (SUNY) system. The school serves approximately 8,846 students at the undergraduate and graduate levels. Programs are offered through the Schools of Art & Design, Business & Technology and Liberal Arts in the areas of Art, Business, Communications, and Design. Serving approximately 3,322 students the School of Art & Design houses the Illustration Department, which offers a BFA in Illustration. The New School was founded in 1896 by American Impressionist William Merritt Chase. Established as The Chase School, the school later changed its name to New York School of Fine and Applied Art. Today, known as The New School/Parsons, this art and design college is home to nearly 5,500 students enrolled in 130 degree and diploma programs. Options for aspiring illustrators include a BFA in Illustration. Founded in 1907, California College of the Arts (CCA) is home to more than 1,500 undergraduates and 450+ graduate students enrolled 22 undergraduate and 12 graduate degree programs, plus four minors. The school offers a BFA in Illustration. A BFA in an Individualized major is also available. Syracuse University (SU) was founded in 1870. The school, which serves more than 22,500 students from across the U.S. and 118 countries, offers more 200 majors, 100 minors, and 200 advanced degree programs across 12 colleges and schools and a graduate school. The School of Art offers a BFA in Illustration. Minneapolis College of Art and Design was founded in 1886. The school, which serves around 800 students from 45 states and 15 countries, offers more than a dozen undergraduate majors and minors, and three graduate programs. Program options for aspiring illustrators include a BFA in Illustration. A BFA in Comic Art is also available. The College of Art, Media & Design houses the School of Design, which offers a BFA in Illustration. The program allows students to declare a concentration. Options include Animation Movement, Animation Visual Development, Game Art, Graphic Design Communication, Graphic Design Typography, Photography, Painting and Printmaking. Founded in 1853, Washington University in St. Louis serves nearly 16,000 students enrolled in more than 90 fields of study across 10 colleges and schools. Part of the Art & Architecture Division, Sam Fox School of Design and Visual Arts houses the Communication Design Program. Here, aspiring illustrators can earn a BFA in Communication Design with an Emphasis in Illustration. The collaborative BFA combines graphic design, illustration, and interaction design. This means, students in the program can choose to focus on illustrating stories, creating comics, and designing printed posters and books, as well as study the history of printed images, comics, and advertising, make pictures for games and motion graphics, and more. During the last year of the program, “students will pursue a capstone project that culminates in an illustrated book, zine, screen-based presentation, graphic novel/mini-comic, or digital experience,” says the school. Founded in 1906, the College for Creative Studies (CCS) is home to more than 1,300 students enrolled in over a dozen degree programs across 14 academic departments. Programs for aspiring illustrators are offered through the Illustration Department. Degree options include a BFA in Illustration. The school says that the BFA curriculum “emphasizes the fundamentals of image making, visual language and visual storytelling and teaches how to translate various traditional media into digital illustration.” Sample courses for the program include Anatomical Figure Illustration, Digital Fundamentals, Figure Illustration, Illustration Techniques, 3D Techniques, 2D techniques, and Visual Narration. Students in the minor will choose five courses (15 credits) from the BFA curriculum. University of Hartford has one undergraduate option for aspiring illustrators leading to a BFA in Illustration. Offered through Hartford Art School (HAS), which serves around 310 students, the BFA curriculum is designed to introduce students to the techniques and processes used by illustrators. It covers the three primary markets for illustrators: advertising illustration, book illustration, and editorial illustration. Sample courses for the program include Digital Illustration, Drawing for Illustration, Foundation 2D, 3D and 4D Studio, and Intermediate Illustration. Founded in 1974, Milwaukee Institute of Art and Design (MIAD) is Wisconsin’s only four-year, private college of visual art and design. The school, which serves 630 students, 600 pre-college students, and 250 outreach/special programs students, offers five degree programs and more than a dozen minors. Among the degree programs is a BFA In Illustration that prepares students to work in areas from publishing to web design and as freelancers or entrepreneurs. BFA students have access to more than 800 courses in 50+ areas of study. Undergraduate degree programs for aspiring illustrators include the PAFA/Penn BFA in Illustration. The program combines studio training with a fine arts focused liberal arts education. The program helps students develop skills in storytelling, visual communication, and entrepreneurship. Courses in the program include Business Practices of Art, Digital Imaging, History of Illustration, Illustration Methods, Letterpress and Book Arts, Narrative and Sequential Drawing, Visual Narration, and courses with master illustrators such as David Wiesner and E.B. Lewis. Students in the BFA program have access 24-hour access to workspaces and digital facilities including two sky lit painting studios, a number of large painting classrooms, illustration/drawing studios and painting studios, and a rooftop terrace often used for cityscapes. California State University Long Beach (CSULB) was established in 1949. One of the 23 campuses of the California State University System, CSULB is home to 37,500 students enrolled in more than 300 programs across eight colleges. The College of the Arts, School of Art, offers a BFA with an Illustration Track. Students in the BFA program can take courses from both the Illustration and Animation Tracks and work together in the school’s digital lab, in addition to learning traditional skills. Sample courses for the program include Advanced Illustration, Advanced Life painting, Costumed Figure Drawing, Experimental Animation, Special Studies in Illustration, Storyboarding for Film and Television, and Visual Development. Workshops and presentations are also part of the program as well as courses taught by resident illustration faculty comprised of experienced professional artists currently working in the fields of illustration and animation.